Azimut|Benetti has been chosen to build the 35-meter conference boat commissioned by the city of Tokyo to host official presentations and conferences. The contract was put out to international tender by the Tokyo Metropolitan Government, with two different stages in the award process. The first served to verify the financial soundness and organisational reliability of the shipyards invited to bid, while the second involved the presentation of the technical and financial bids, with Azimut|Benetti prevailing on the back of its proven technology skills honed over more than 140 years of experience. For this totally custom-built motoryacht, Azimut|Benetti worked with Verme Yacht Design consultants on the development of the structural design and the hull shape. The shipyard has assigned a dedicated team to the order, coordinated by Project Manager Fortunato Di Marco. The team includes a group of Japanese engineers needed to ensure that the customer receives comprehensive assistance immediately, in line with Azimut|Benetti’s high standards of Customer Service. The 35-meter motoryacht will be built at the company’s Livorno shipyard, with delivery planned for December 2018. The motoryacht, which is designed to reach a maximum speed of 25 knots, has three decks. Inside, the customer stipulated the need for a conference table seating 35, with an interpreter booth and a Japanese-style reception room. A water-jet propulsion system will be used to keep the draught of the boat below 1.25 meters, so that it can navigate in the shallow waters in Tokyo Bay. The height of the boat is also a key feature of the design and cannot exceed 11 meters from the waterline to enable the yacht to pass under the numerous bridges in the area. A special retractable aerial has had to be designed to satisfy this need. Commenting on the project, Benetti CEO Vincenzo Poerio said: “We have won an extremely difficult tender operation in a country where the impeccable quality of products and services is a philosophy of life. The customer was extremely selective in both the pre-selection and award stages. The fact that we have beaten the major shipyards we were competing against is a further demonstration of our organisational reliability, financial soundness, construction experience and technological innovation capabilities, of which I cannot help but be very proud”. Azimut Yachts, brand of the Azimut|Benetti Group, the number 1 shipyard in the world in the luxury yachting industry, and Francesco Jodice, Italian photographer and artist, are working side-by-side for the first time in a project in which navigation is a powerful source of inspiration for Art. This is the bet made by Francesco Jodice, tireless experimenter whose anthropological narratives analyse the human criticalities within the social context and in the relationship of mankind with Nature. Starting from the theme of the journey by sea, the artist accepted Azimut Yachts’ invitation to enter the shipyards allowing him to shoot a series of photos that will become part of the three-year project “The Voyage”. The first results of this explorative work, focused on capturing the images of the shipyards and the fascinations from the people working there, have been the photographic works displayed at the Mia Photo Fair, one of the most important event in Italy dedicated to photography, which took place from 10 to 13 March 2017 in Milan. With “The Voyage”, through studies of ancient documents, voyage diaries and navigation techniques, the artist Francesco Jodice aims to recreate and understand the feelings that accompany the myth of the journey by sea, one of the deepest nucleuses through which the Western civilization has always been narrating the meaning of life, starting from the epic literature, until the reports of the great explorations of Modern Age. The project, which involves Azimut Yachts and its shipyards, will result in a series of photographic works collected in an artbook. 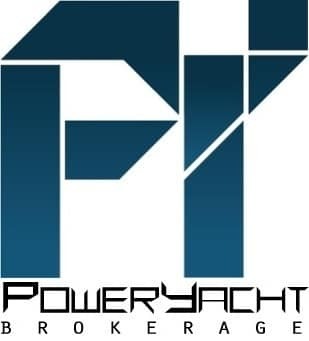 Cranchi is pleased to announce that Marinucci Yachting Srl has become the official dealer for the South West of Italy. The Cranchi brand was founded in 1870 and now exports to 70 countries worldwide. With a tradition of almost 150 years, currently it owns three production plants in Italy, including Lombardy and Friuli Venezia Giulia, as well as a Marine Test Center where you can experience the full range of boats and a dock for hauling and launching and refitting for yachts of dimensions greater than fifteen meters. Eighteen models are in production and are available on the market with different versions: Flybridge, Cruiser, Hard Top, Soft Top, Sport Line and Trawler. For 2017 year Cranchi has introduced four new models: S E52, E52 and E56 F F Evolution of the new line and 56 HT. March 14th to 17th are the dates set aside for this year’s “Convergence”, the traditional meeting with professional training and refresher courses that Ferretti Group offers captains and chief engineers working on the yachts in its fleet. “Convergence” 2017 will be held in the international setting of Ljubljana in Slovenia, with an intense schedule of classroom sessions and outdoor events, bringing together tens of professionals from all over the world and involving them in refresher courses and group challenges designed to explore new technical developments as well as the host city. The seminars will be held by the main sponsors of “Convergence” 2017, the Group’s consolidated technology partners, including Cummins, Cummins Onan, MAN, Pantaenius, Rina, Seakeeper and Willis Towers Watson. The intention of the four day event is to promote direct discussion of topics linked to the management of Ferretti Group’s yachts and craft as well as issues related to the prevention and management of risks and safety on board. On day one, the Top Management and Engineering Team will illustrate the new projects presented between the end of 2016 and the beginning of 2017, currently being built at the Group’s yards, and the most innovative technologies fitted on board. 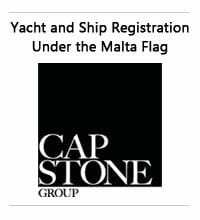 They will also bring the audience up to date as regards the major refitting of large yachts currently underway at the modernised Super Yacht Yard at Ancona, in addition to the new maxi yachts and craft under construction for the CRN, Riva Superyachts Division, Pershing and Custom Line brands. The training activities will be completed by exciting team challenges involving the attendees. The purpose: to boost the feeling of belonging to a group and the enjoyment of being together, once again refreshing the Group’s commitment towards these top sea-faring professionals who play a vital role in assuring owners a serene and unforgettable experience at sea. Launched in March, the Certified Pre-Owned program logo can be seen on 23 Hinckleys listed on Yachtworld today and one boat with CPO status has already sold. Similar to CPO programs in the automotive sector, Hinckley offers extended warranties on pre-owned Hinckley Yachts when those boats have been maintained by the company or its authorized yards, pass inspection, and are listed for sale with the company's own sales offices. "We have every confidence in these yachts and we feel this is a great way to express it and to welcome a new Hinckley owner into our brand family," said Hinckley President and CEO Peter O'Connell. The certified pre-owned warranties are offered at no cost to the purchaser or seller. The team at Mulder Shipyard is very hands-on. In our relatively flat organization, clients, designers, crew and suppliers are in direct contact with the production team. Communication is key when it comes to placing orders for the finest materials around the globe or providing direct service to our yachts worldwide. To provide efficient and professional services, Mulder Shipyard started a program to invest in a durable future. One of the elements is to improve the level of English in the organization. As English is the second language in the Netherlands, the ‘students’ started with basic foundation. In cooperation with Berlitz, twelve of Mulder’s team attended the weekly in-house English course for a period of six months. Since the classes have finished they are more comfortable communicating in English, their vocabulary has grown and work can be done more efficiently. Outer Reef Yachts has always maintained a clear set of goals: to build the most seaworthy, efficient, and robust yachts available in the world, supported by service that is second to none. With dedication, experience, and an openness to feedback, Outer Reef has continued to perfect its products and the process behind them. The result? Award-winning yachts with the highest caliber of safety and bluewater capabilities available. To truly 'know' an Outer Reef is to love an Outer Reef (as the old saying goes). Outer Reef owners, and those in the media who put the brand's yachts to the test, will express their genuine confidence in Outer Reef time and time again. This is why people stay in the Outer Reef Family for years on end. And, this is why our latest story, one of adventure, beauty, challenge and awe, is such an important story to share and no one can speak to this better than owner Paul Hawran, owner of an Outer Reef 88' Cockpit called Argo. Hawran chose his Outer Reef after doing a significant amount of research and comparison shopping, because of the caliber of quality Outer Reef offers in design, construction and service instilled in Paul the necessary confidence to carry out his ambitious cruising plans including Alaska, the Galapagos, and around Cape Horn, Patagonia, and the fabulous glaciers and fjords of Chile with a yacht that has 3,500-gallon fuel capacity and twin Caterpillar 1001hp engines, she can go the distance: 3,500 miles at her cruising displacement speed of 10 knots. From the start of the process, Hawran worked hand-in-hand with Jeff Druek on the design and build of Argo, knowing that once he took delivery, getting to know her was critical. His 'shakedown cruise' started in Victoria, B.C., and through the Inside Passage "to see unique places, wildlife, and people." In an article in Northwest Yachting's September 2016 issue, Mr. Hawran stated that having an understanding of "all system checks, handling characteristics, engine sweet spots, sounds, performance, electronics, and our place among other boats," was critical when planning a journey to Alaska and beyond, which would undoubtedly bring Hawran face-to-face with the roughest seas offshore and put the yacht to the test. Paul Hawran chose Outer Reef Yachts to accomplish what he set out to do cruise his yacht in remote, untouched areas including Alaska, Patagonia, and round Cape Horn. And to truly up the ante, our President and CEO Jeff Druek was inspired by Hawran's ambitions and decided to join him and his crew on this magnificent trip around The Horn. All who are entrenched in blue-water yachting can agree there is no greater testament to a product's reliability than that of the company's owner physically participating in a cruise in the most unpredictable and challenging waters in the world. Sailing around the Horn is widely regarded a major challenge in yachting. By way of this story, and the countless others Outer Reef owners are happy to share, please take time to learn more about our tested, proven, award-winning long range yachts through the eyes of genuine experience. Whether it's Cape Horn, or the romantic French Riviera, you might relate to these owners' stories and have a better understanding as to why an Outer Reef will make a dream cruise or expedition one that becomes a reality. Either way, we hope you find this story to be an inspiration and an assurance that when you are ready to embark on your own journey, Outer Reef yachts will be ready as well. The magnificent seven: that’s the number of awards the Riva 76 Perseo has received in less than two years since its world debut at the Cannes Yachting Festival 2015. An overwhelming success for this yacht with its sporty and elegant lines, the object of desire of yacht owners and Riva enthusiasts worldwide. The latest born of the coupé fleet designed by Riva, which celebrates its 175th anniversary this year triumphed in the Best of the Best Awards given by Robb Report China, as Best Motoryacht up to 100 feet. The awards ceremony, called “Robb Report 2017 Originality 10 Years Anniversary Gala”, was held last night at the hotel Wanda Reign on the Bund in Shanghai. For ten years now, the awards bestowed by the Chinese edition of the famous lifestyle magazine have singled out the best products in the various categories of the luxury sector. The Best of the Best Awards are dedicated to all those who are true connoisseurs of yachts, automobiles, hotels, watches, and wines, an eagerly awaited event on the Asia market which has often spotlighted Ferretti Group brands. Riva’s official online store offers a range of stylish accessories designed to match the look and quality of the most famous shipyard in the world. Absolute quality and precise craftsmanship in every detail, a taste for refined materials and incomparable elegance. These core values of Riva also belong to the finest collection of luxury accessories for sale now in the official online store, of the iconic boating brand, for all products from the private collection. "Riva inside, inside Riva" is the inspiring philosophy for the "Riva Brand Experience" products, all characterized by the same high-quality materials and meticulous attention to detail.. Designed for those who love the timeless elegance and distinctive design of the legendary Riva yachts, the online store, which is managed by the shipyard in collaboration with TRIBOO, is a collection of unique and incomparable products made with high quality materials and the unmistakable style of the Riva brand. Riva Boutique will carry the excellence and craftsmanship of a shipyard symbol of the Made in Italy, that makes history every day, for over 170 years. Riviera has a proud history of fostering talent in a diverse range of marine trades in Australia and has been recognised and awarded at both state and national levels. The achievements of Riviera’s past apprentices are also testament to the Australian company’s deep-held philosophy towards the future growth of the boating industry. This year Riviera’s 550-strong team of designers, engineers and master craftsmen is very proud to welcome 29 new fulltime apprentices to the company’s world-class manufacturing facility on Queensland’s Gold Coast. “Our apprentices are impressive young men and women whose ambition and attitude continue to be developed in a positive, accountable and can-do environment,” said Riviera chairman and owner Rodney Longhurst. “We look forward to helping them in the boat-building, electrical, engineering, upholstery, lamination and cabinet-making trades and careers.” Mr Longhurst, who completed his own apprenticeship in the building trade, worked with Riviera CEO and fellow graduate apprentice Wes Moxey to reinstate the Riviera program upon Rodney’s purchase of the company in 2012. “Riviera’s quality training programs dig deeper than just the essential trade skills – we also provide our apprentices with time-honoured practices to also be successful in their professional and personal lives,” said Mr Longhurst. The Class of 2017 – 12 school-based apprentices and 17 fulltime apprentices – recently attended their factory inductions and orientation, learning more about their obligations across the important areas of fire safety, basic emergency procedures and tool operation, hazard identification and the strongly held Riviera Values. Riviera, now with 74 apprentices at various stages of learning their chosen crafts, is an industry leader in developing marine professionals with high integrity and world-class skills. Riviera is also home to the Gold Coast Institute of TAFE Marine Training Centre, where over 200 enrolled students are currently learning their respective crafts. “It’s probably the best Experience cruising event I’ve ever been on … and I’ve been on quite a few!” These words – from third-time Riviera owner Gavin Eales – perhaps sum up the three-day 2017 Kooringal Experience staged by Riviera and Belize dealer R Marine Jones for the Riviera Family to Australia’s Moreton Island recently. Gavin, the owner of the 47 Enclosed Flybridge Just Battling, said it was hard to pick a favourite feature of the 76Nm cruise from and returning to Queensland’s Gold Coast – there were just so many. Fun with old friends, making new friends, discovering new anchorages and exploring idyllic destinations – these phrases are repeatedly made when the Riviera Family describes what they like most about our inspiring cruising adventures. The 2017 Kooringal Experience featuring 32 Riviera and Belize luxury motor yachts and almost 90 people was certainly no exception, with the R Marine Jones-owned 51 Open Flybridge Riv 1 leading the way. Ken Smith, who with wife Laureen owns the 38 Open Flybridge Lunchalot, is relatively new to the Riviera Family and said there was nothing quite like learning about boating in the company of like-minded people. R Marine Jones is this year evolving its Experience cruising event and there is very strong interest in the series of four to five passages to and from Queensland’s Whitsundays over a period of three months between June and September 2017. Sasga Yachts expands its horizons to The United States of America and signs an agreement of sales and distribution with the American company SYS International Yachts sales, one of the most important companies in the nautical sector of the southeast coast of the USA. SYS Yacht Sales was the first in Florida to be designated as an “Endorsed Brokerage” by the prestigious Certified Professional Yacht Broker Program and is leader in the sector for over three decades. SYS has assumed the challenge of introducing the Sasga Yachts in The United States. In fact, the attributes like the commitment of the Company, the design of the interiors, the innovation, the great interior space, the facility of managing and the relation quality/price are some of the reasons that has led SYS Yacht Sales to sign the agreement with the Shipyard Sasga Yachts. First contact in America was at the Miami International Boat Show, which was celebrated last February 16, with the presence of Paul Flannery, the Director of SYS Palm Beach and President of the "International Yacht Broker Association". The official presentation of the Minorcan company in the USA will take place at the Boat Show of Palm Beach, from April 23th to 26th, with the presence of Sasga Yachts’ General manager Jose Luis Sastre Gardés and the Minorchino 34as protagonist. Minorchino 34 was nominated to the "European Powerboat of the Year 2016" and won the prizes of the "Best boat of Croatia 2016" and of the "Champion Jachtingu 2015". The following American appointment of the year will be in the Sarasota "Suncoast beach" on April 21th to 23th. The Minorcan shipyard foresees with this agreement, to expand in the near future, all its models 34HT, 42HT, 42FB, 54HT, 54FB & 68FB, for the American continent with the same philosophy that characterizes it at Europe: customization, exclusive design, maximum detail, quality and confidence. During Düsseldorf boat show 2017 Sasga Yachts signed an agreement of sale and distribution of its boats with the English company Edge-Water Marine Ltd. by means of which it became an official distributor of Sasga Yachts in the United Kingdom. With a wide international experience and knowledge of the nautical industry, Edge-water Marine Ltd. specialized in the distribution and sale of yachts, will be responsible of introducing the Sasga Minorchino line to the English market. The range of models built by the Minorcan shipyard are Minorchino 34, 42HT, 42FB, 54HT, 54FB to 68FB. The Minorchino yachts are characterized by its great adaptability, detail and customization, qualities that fit perfectly in the English market. These are some of the reasons that Nick Edgington and his team, could appreciate during their visit to our stand at Düsseldorf Boat Show. Nick Edgington was delighted with this agreement because, as he said, this supposes for his company the accomplishment of the desire to provide to his costumers an exclusive range of high quality semi-displacement motor yachts. This attributes reflect the principal features of the range of cruise that already they represent, Legend Marlow; attributes very valued like are the force, the safety, the comfort, the great interior space, the design, the facility of managing and the relation quality and price. Tiara Yachts has been recognized by the National Marine Manufacturers Association for excellence in customer satisfaction. This prestigious award is presented to manufacturers who recognize the importance of customer satisfaction programs and utilize industry best practices. Tiara Yachts has prided itself for many years on its commitment to excellence both in the quality of the product they build, and the service they provide to their loyal customers. Tiara Yachts has been honored for their efforts to increase customer satisfaction levels in the boating industry. 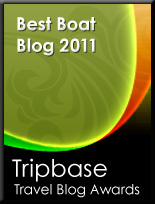 They received an award in both the Express Cruisers category as well as the Fishing Express Boats category. In order to receive this award, Tiara maintained a standard of excellence of 90 percent or higher in customer satisfaction over the past year. The Marine Industry CSI Awards program honors participating manufacturers that actively measure customer satisfaction and pursue continuous improvement to better serve the customer. For this calendar year, award recipients achieved and maintained an independently-measured standard of excellence of 90 percent or higher in customer satisfaction with at least 25 completed surveys or 15 completed surveys and a 50% response rate in a category/segment over the past 12 months, based on information provided by customers purchasing a new boat or engine during the period between January 1, 2016 and December 31, 2016. This year, the madness isn't just on the basketball court. Marlin magazine wants to know which sportfishing team is the favorite among its fans. To find out, 64 of the best tournament fishing teams in the world have been split into four regions of 16 teams and are going head to head until one is crowned Marlin Madness champion. There are plenty of Vikings in the mix, like the Viking 72 Ditch Digger, Viking 62, 72 Share-E, 68 Breathe Easy, 56 Syked Out, 61 Conundrum, 74 Auspicious and more! Who will decide the winner of each head to head matchup? The Marlin fans. 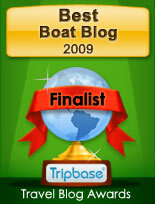 The voting has begun and it is up to you to vote for your favorite Viking sportfishing team all the way to the finals. Let's go Team Viking! Van der Valk Shipyard in the Netherlands is celebrating its golden jubilee in 2017 and will mark 50 years of quality yachtbuilding by opening a new and larger construction hall in the spring. This exciting development follows on from the Dutch yard’s successful participation at the Boot Düsseldorf show and will be seamlessly integrated with the launching of seven major projects in the months ahead. 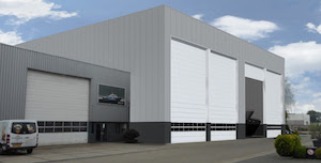 The new Van der Valk production hall will allow us to build motoryachts up to 40+ metres in length with up to three decks – something for which the existing facilities had been slightly too small. Construction of the facility has already started, with the steel framing of the construction completely finished. The shell of the new hall, the roof and walls will be completed in time for the Experience Event, which will be held from 23-26 March. This annual open-house occasion allows Van der Valk owners and potential clients to take a comprehensive look behind the scenes at the yard and see the latest projects in build and close to completion. Zeelander is pleased to announce it has opened ar new shipyard in the Netherlands. This new state-of-the-art facility in Groot Ammers meets the growing demand for Zeelanders both now and in the future. The new shipyard allows us to assemble all new Zeelander yachts in-house to the finest degree of Dutch yacht building excellence. Prospects and clients can experience Zeelander craftsmanship for themselves and see, smell and feel all the materials used. Zeelander stands for iconic design, luxury, individual exclusivity and Dutch-built quality. We look forward to being of service.